Surfhouse Adventures needed to update their website to support their growing surf hotel. A few important integrations added complexity to the build of their site. They came to Agency73 to help. The Surfhouse Adventures team’s new website required three primary functions, ease of updating content, Cloudbeds integration, and Instagram integration. 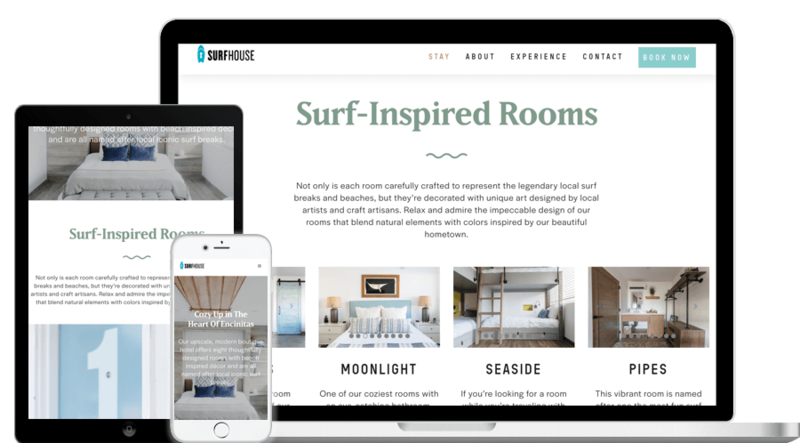 We collaboratively chose to build this site on the WordPress CMS to give the Surfhouse team the ability to easily keep their site updated without needing technical help. 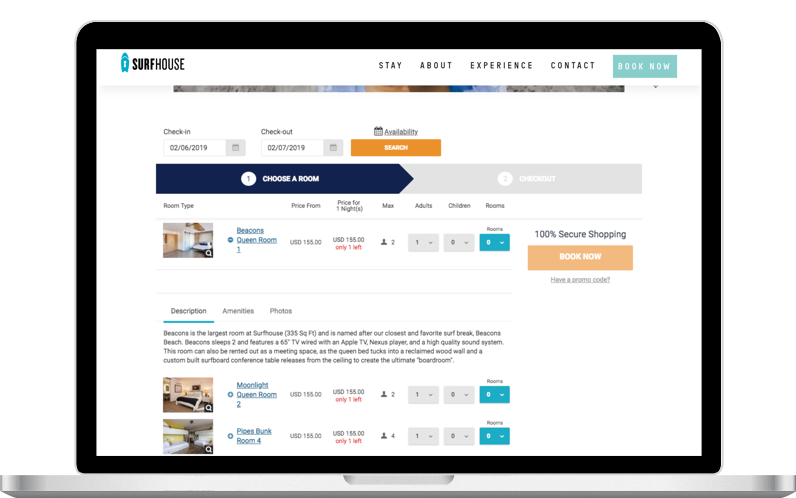 The Surfhouse team uses Cloudbeds hospitality management software to manage their guest bookings, and leverage their Instagram feed for content on their homepage. 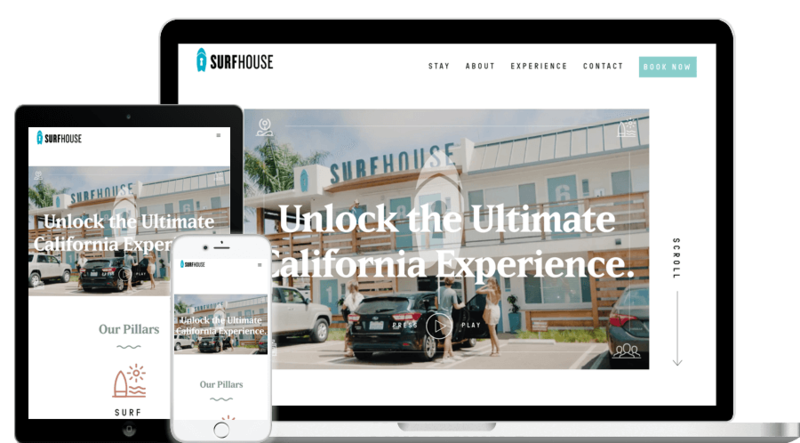 Our team used Surfhouse Adventures’ Cloudbeds’ RESTful API on the site to make it feel like a seamless experience for their guests. This made the reservation process simple for their guests and efficient for Surfhouse Adventures’ lean staff. We also worked closely with Surfhouse Adventures’ marketing team to leverage the Instagram API to best suit Surfhouse’s needs and keep their home pages seeded with new content everytime they post to Instagram. Agency73 is also providing hosting services to keep Surfhouse Adventures’ new website up and running. Agency73’s team turned the entire project around within 6 weeks to allow Surfhouse to continue their quick and nimble growth. We’re grateful for the opportunity to “Share the Stoke” with Surfhouse Adventures’ amazing local team.